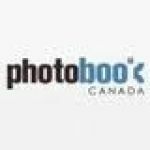 Details: Save 25% on All Photo Books! Offer valid through 8/31/13. Details: 25% off entire order of Metal Prints (can be used only once per account). Details: 30% OFF on photo books printed on digital printing paper.